Has IT 2 found its adult Eddie? The cast for the sequel looks to be coming together quite nicely behind the scenes and now, it appears as though former star of The Wire, James Ransone is the latest to become a member of the adult Losers Club. While the studio hasn't come out and confirmed the casting, the actor himself seems to have spilled the beans on social media. For the time being, we can't one hundred percent promise this is the real deal because James Ransone's Twitter account is set to private, so the public can't view what he posts. However, the folks at Consequence of Sound have a screenshot of something he posted to his account and, unless it's a bizarre fake from Photoshop or something along those lines, this seems to be locked in. The actor had this to say, alongside a photo of Jack Dylan Grazer's Eddie from the first IT. "Well, it's official. I will have these very big small shoes to fill. Keep it to yourselves..."
Whoever took this screenshot couldn't keep it to themselves, but the cat appears to be out of the bag now. James Ransone may not be a household name by any means, but he certainly looks perfect to play Eddie and he's the kind of character actor who can bring something people may not be expecting to the role. His work as the cop (and former cop) in Sinister and Sinister 2 seem like the perfect examples of why Ransone would be great in something like this. 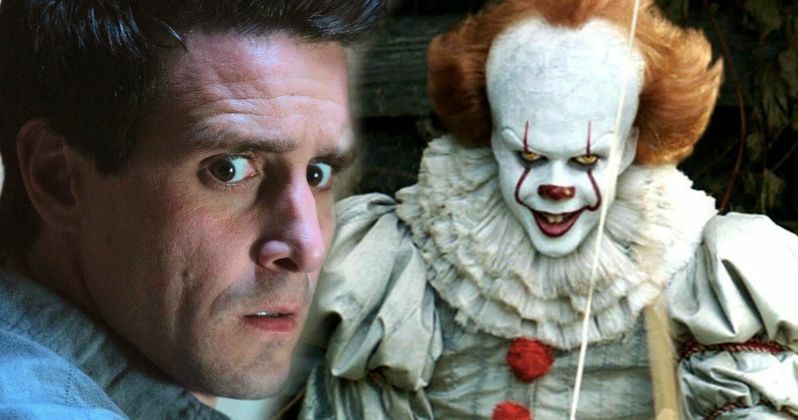 James Ransone joins a growing cast for IT 2 that already includes Jessica Chastain as the older Beverly Marsh, originally played by Sophia Lillis; Bill Hader as the adult version of Richie Tozier, originally played by Stranger Things star Finn Wolfhard; and James McAvoy, who will take on the adult persona of Bill, played originally by Jaeden Lieberher. When looking at the cast now, it appears as though Warner Bros. and New Line aren't being too specific when it comes to the kind of person they're looking to cast. Ransone certainly isn't as high-profile as perhaps Chastain or McAvoy, but it shows that they're looking to get the casting right and not just go with the biggest name possible. Andy Muschietti, who directed the first IT that went on to gross $700 million worldwide and became the highest-grossing horror movie ever at the box office, returns to helm the sequel. The young members of The Losers Club are also expected to appear, but only in flashbacks, as the sequel will take place 27 years after the events of the first movie. Bill Skarsgard is also returning as the evil, murderous clown Pennywise. IT 2 is set for release on September 6, 2019. This news comes to us courtesy of Consequence of Sound. You can check out the screenshot of the tweet in question for yourself below.